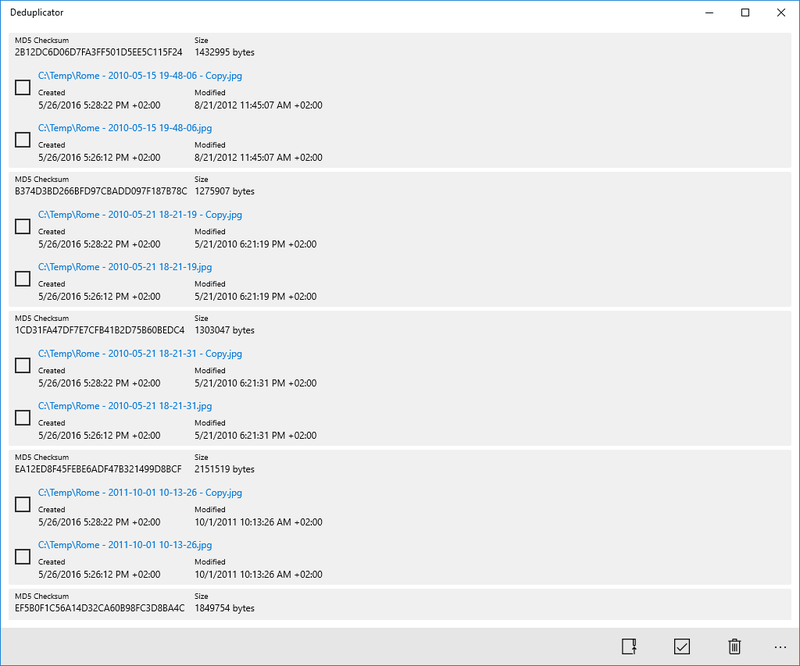 Deduplicator finds duplictated files and lets you delete them. 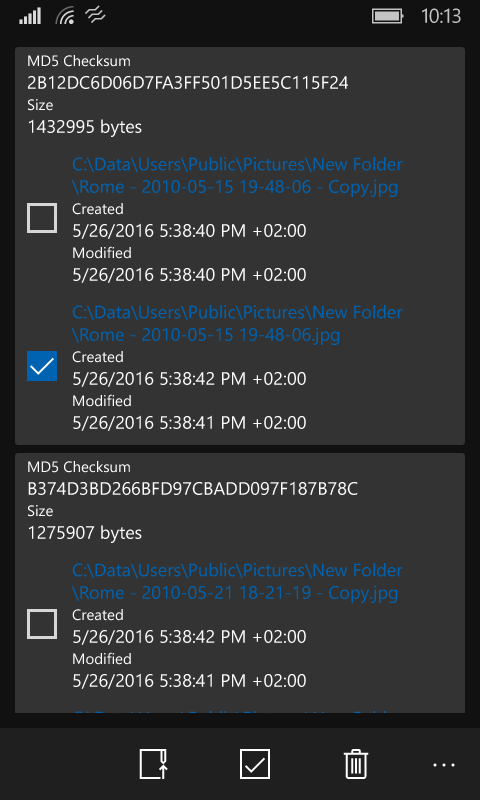 Pick a folder and the app starts looking for duplicated files. When it finds any it will show them grouped by their checksum. Choose auto-select or manually select the duplicates you want to delete. 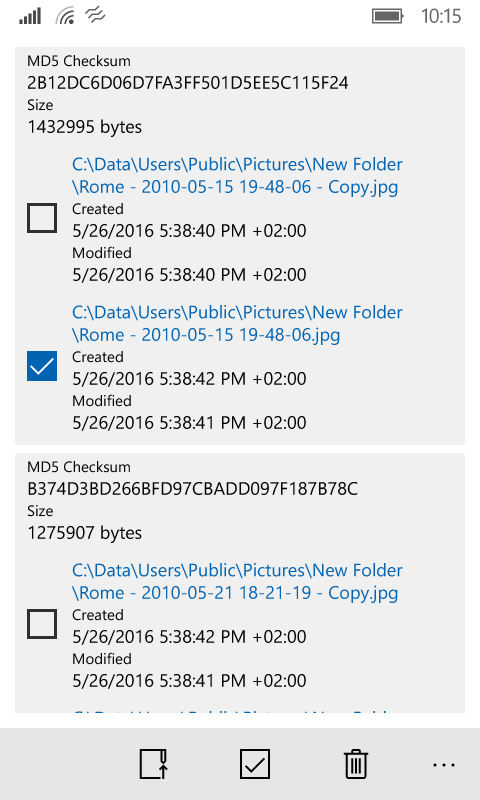 Deduplicator treats files only as duplicates if their content is exactly the same. So it won't find similar images (e.g. scaled versions) and audio files (e.g. different encoding). This app doesn't delete any files you don't tell it to, but make sure to have a current backup of your data anyway.